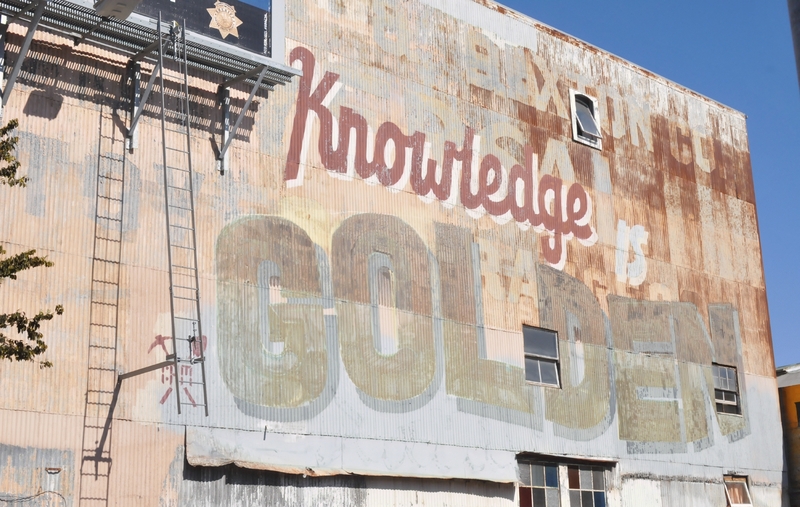 The Knowledge Is Golden mural covered a former sign that decorated the side of this building. It perhaps read, "...Baxton Co Sale." Also notice the 1AM logo was accented by a crossed pick and shovel. 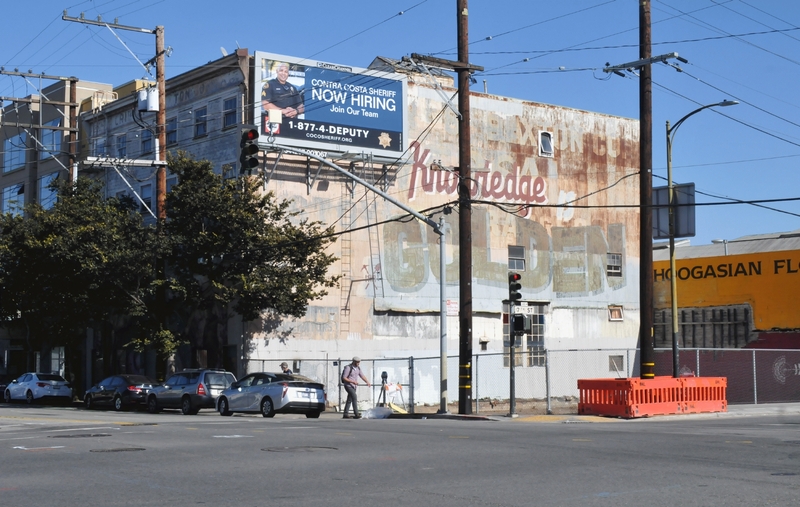 The building in context with its fenced in empty yard. To the right of this shot was a piece of the "Hoogasian Flower Company." Here is the building shot from diagonally across the street. 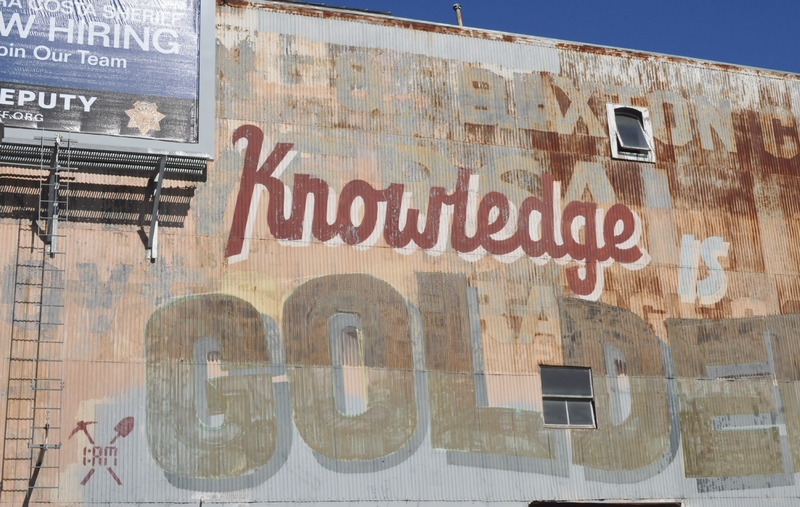 The mural was so faded over the intervening six years, that it looked just like any other faded old sign. 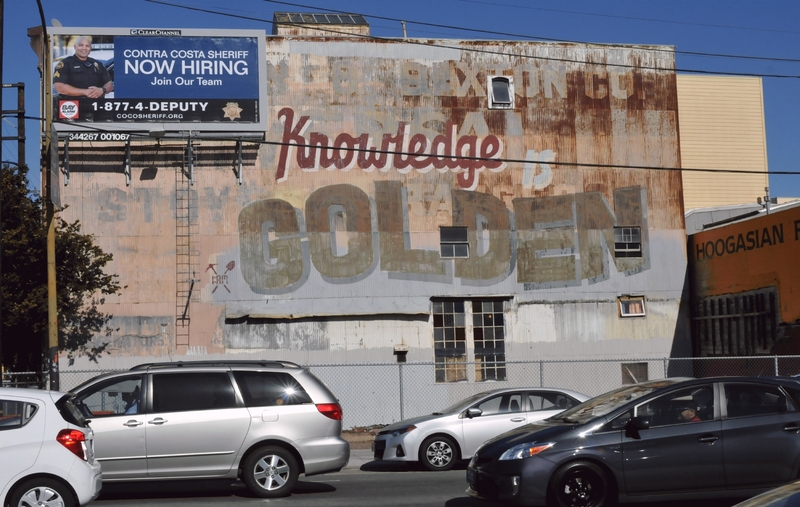 It would be hard to recognize as a fairly new mural while driving past. The word "Golden" crossed two windows, the rightmost of which was ajar. 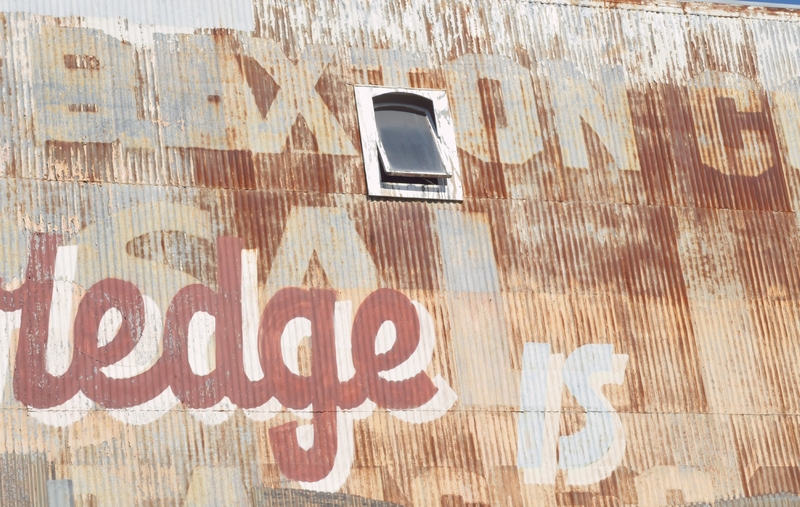 The previous "Baxton Co" sign crossed a window too, and that window was also ajar. 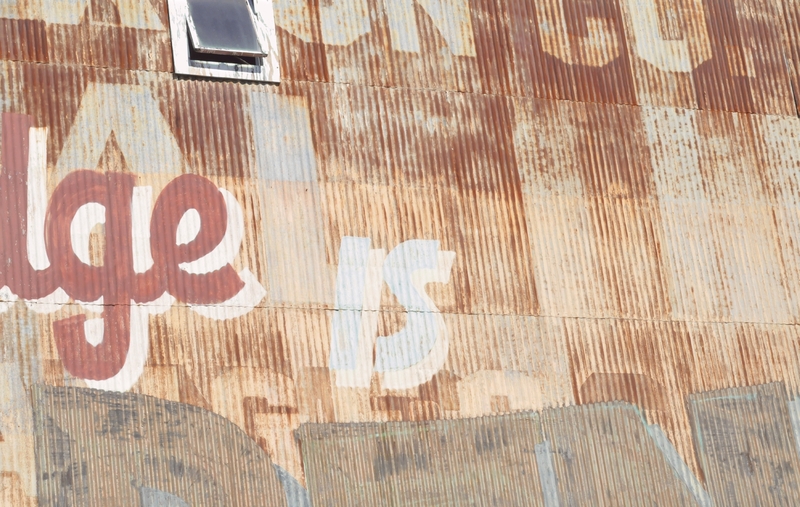 The word "Is" was also faded. Perhaps so much it was about to become lost into the underneath word, "Sale." 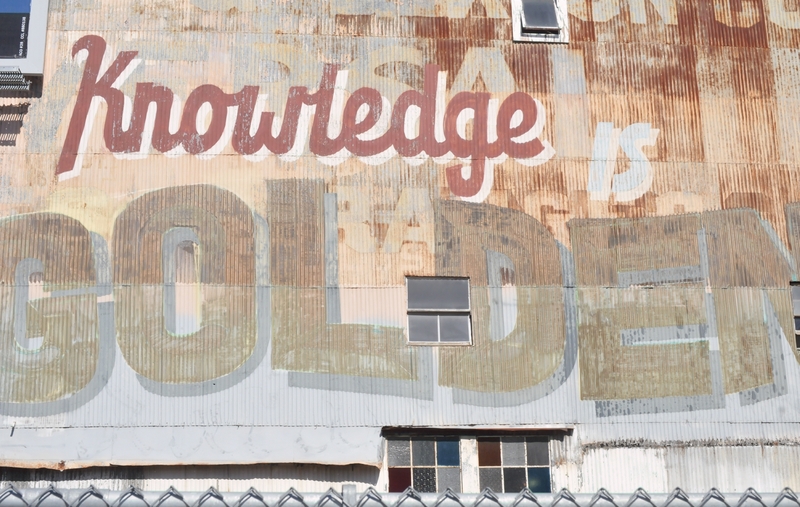 The word "Golden" was no longer gold colored. It had faded into a weak tea brown.